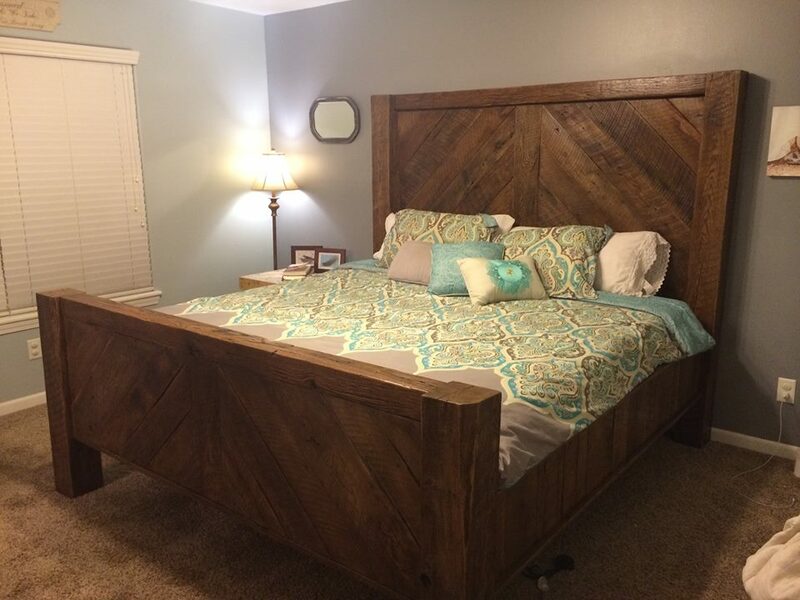 King size bed I built out of barnwood. 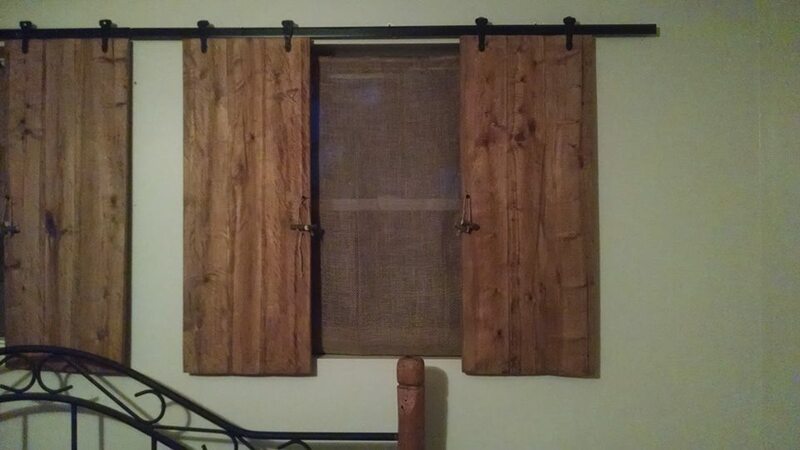 Maple shutters milled with chainsaw .hand made hammered rails w/hardware.and hand made burlap curtains to allow filtered sun light set of 4 . complete with twine & hickory tie backs for curtains. Fun project ! 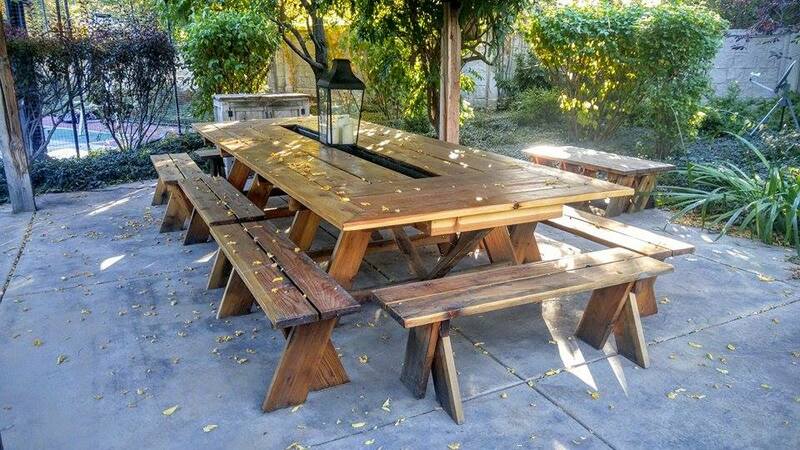 Here is a picnic table I did for someone. It’s nearly 7 feet wide and 20 feet long. It’s got an 8″ trough in the middle for drinks or flowers. Fits 28 people comfortably.